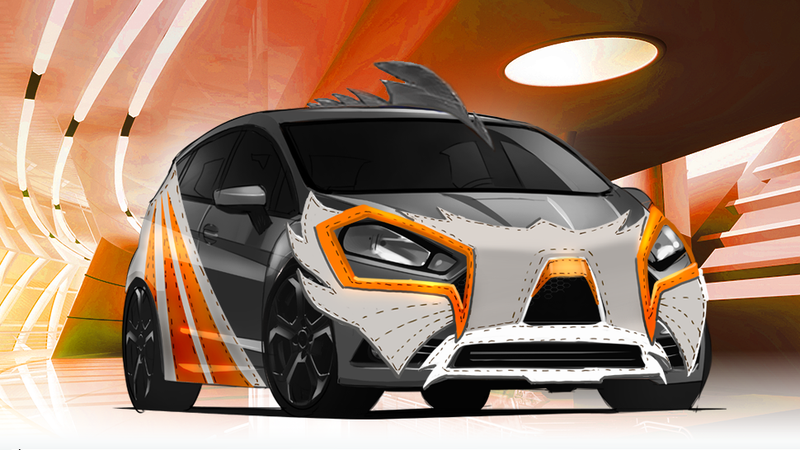 Now you can take a peek at what your very own comic book supercar would look like. With the Fiesta Hero widget below, you can design your own Ford Fiesta with the kind of features — like wings, fins, fire, or teeth — befitting a vehicle that spends its nights taking down the criminal element. Try red, glowing headlights to frighten criminals (ever a cowardly, superstitious bunch) or give it tattoos give it that extra edge. This is only the beginning. Ford challenged 100 "Fiesta Agents" to explain why their Ford Fiesta is the ultimate superhero. This month, nine finalists will be chosen by three celebrity judges to give you an exclusive, behind-the-scenes look at New York Comic Con. Later, the three agents with the best designs will get the chance to see their Fiesta Hero come to life with the help of some big-name partners. In the meantime, you can play with the widget above to create your own superhero car and submit a screenshot of your design in the comments. Just email your masterpiece to your personal email using the share button, download the image, and post below. The best designs will be selected by Studio@Gawker for a chance to win a $100 Comixology gift card. Excited? Stay tuned to Fiesta Hero to find out more.